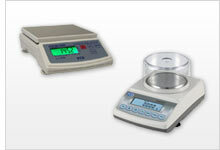 Precision balances are used in laboratories for weighing. Precision balances are calibrated by the manufacturer or factory. ISO-calibrated precision balances are calibrated by an ISO-certified laboratory. An optional ISO calibration certificate is available for purchase as an accessory to any precision balance product offered by PCE Instruments (PCE). Depending on the model of precision balance chosen for your particular application, your precision balance may be equipped with a USB port, RS-232 interface or Bluetooth adapter to allow the weighing data to be transferred to a computer for detailed analysis and documentation. Different precision balances offer different weighing ranges and levels of accuracy. When selecting a precision balance, be sure to consider the anticipated weight of the object to be measured, and make sure the precision balance you decide upon has a maximum weighing capacity slightly above your needs. In addition, different precision balances have different functions such as full-range tare, part counting and drying programs. Consider the requirements of your application and whether any added functionality would be beneficial to your process. For example, a pharmacy might want a precision balance that not only weighs dosages, but also measures moisture content to assess the storage needs of various pharmaceutical products. If you have any questions about the precision balances found on this website, please contact PCE's technical sales and support team at or +44 (0) 2380 987 035 for PCE Instruments UK, or at or +1 (561) 320-9162 for PCE Americas Inc. The Precision Balance PCE-BS 6000 is a light, rugged precision balance suitable for different purposes. The removable stainless steel pan allows the laboratory balance to be cleaned easily. The Precision Balance PCE-BS 6000 can be used for weighing as well as for piece counting. The Precision Balance PCE-BS 3000 is a light, rugged precision balance suitable for different purposes. The removable stainless steel pan allows the laboratory balance to be cleaned easily. The Precision Balance PCE-BS 3000 can be used for weighing as well as for piece counting. The Precision Balance PCE-BS 300 is a light, rugged precision balance suitable for different purposes. The removable stainless steel pan allows the laboratory balance to be cleaned easily. The Precision Balance PCE-BS 300 can be used for weighing as well as for piece counting. PCE-BSH 10000 is a an accurate compact digital scale or balance with piece or part counting functionality. Ideal for use in kitchens, laboratories and offices, this precision scale has a USB port for data transfer and printing. PCE-BSH 6000 is a an accurate compact digital scale or balance with piece or part counting functionality. Ideal for use in kitchens, laboratories and offices, this precision scale has a USB port for data transfer and printing. PCE-PCS 30 is a precision scale or balance with accurate weighing and piece or part counting functions. Ideal for use in laboratory, office, inventory and miscellaneous industrial applications, this portable scale can be powered by battery or by the included electric power supply. The scale's built-in RS-232 port enables data transfer and printing. PCE-PCS 6 is a precision scale or balance with accurate weighing and piece or part counting functions. Ideal for use in laboratory, office, inventory and miscellaneous industrial applications, this portable scale can be powered by battery or by the included electric power supply. The scale's built-in RS-232 port enables data transfer and printing. Precision Balances PCE-BT 200 to be used in Laboratories, production, quality controls, etc. Some important aspects of the Precision Balances are both their design consisting on a flat surface and also they are very easy to use. Their small size together with its high resolution in wider weighing ranges are other advantages of the Precision Balances PCE-BT 200. Precision Balances PCE-BT 2000 to be used in Laboratories, production, quality controls, etc. Some important aspects of the Precision Balances are both their design consisting on a flat surface and also they are very easy to use. Their small size together with its high resolution in wider weighing ranges are other advantages of the Precision Balances PCE-BT 2000. The Precision Balances are high precision devices for the determination of the basis weight (in relation to a square meter of materials). This is the most accurate way to determine basis paper / tissue weight. The Precision Balances displays the basis weight of paper, tissue, fabrics ... directly in g/m². Verifiable waterproof Precision Balances in stainless steel with separate indicator (no corrosion). The Precision Balances are manufactured to IP67, dust-tight and thus can also be temporarily submerged completely under water (up to 1 m depth). PCE-MA 110 is a precision balance or halogen moisture analyzer that functions on the gravimetric or loss on drying (LOD) principle. The moisture analyzer uses the halogen method to dry the material sample. Moisture content is calculated based on the weight difference before and after the drying procedure. Calibration of the moisture analyzer can be performed at any time using the automatic calibration function and the included 100 g weight. This Precision Balances gets stable stand from their die cast aluminum housing. Designed for uncomplicated performance, the PCE-ABZ 100C Precision Balances have only those features necessary for routine weighing along with a few design and performance extras that help eliminate common nuisances that can arise in laboratory, industrial and educational settings. This Precision Balances gets stable stand from their die cast aluminum housing. Designed for uncomplicated performance, the PCE-ABZ 200C Precision Balances have only those features necessary for routine weighing along with a few design and performance extras that help eliminate common nuisances that can arise in laboratory, industrial and educational settings. The PCE-MA 202 is an oven-drying precision balance for weighing and heating material samples to determine moisture content. The heating chamber warms up to 199 °C / 390 °F with the use of halogen lamps. Drying of the sample to be weighed takes place within the chamber of the precision balance and the moisture content is subsequently calculated from the difference between the initial and final weight. The precision balance PCE-MA 100 allows different materials to be weighed and their moisture contents determined. The heating chamber is heated by halogen lamps up to 199 °C. In this chamber, the precision balance dries the material to be weighed, and then calculates the moisture content from the weight difference. The precision balance PCE-MA 200 is used to weigh a range of substances up to 200g / 7.05oz and measure their moisture content. A halogen lamp heats up the chamber to 199 °C / 390 °F. The precision balance dries the substance to be weighed within the heating chamber and determines the moisture content from the difference in weight. The precision balances PCE-IS01 are professional systems for counting, and consists of a quantity and a reference balance. The reference balance takes on the smallest components while the balance calculates the number of pieces. This precision balances are particularly well suited for inventories. The precision balances PCE-IS02 are professional systems for counting, and consists of a quantity and a reference balance. The reference balance takes on the smallest components while the balance calculates the number of pieces. This precision balances are particularly well suited for inventories. To assist you in your precision balance purchasing decision, the PCE Instruments (PCE) technical sales and support team has put together the below criteria for selecting a precision balance. However, should you require additional assistance with finding the right precision balance for your application, please don't hesitate to contact PCE at or +44 (0) 2380 987 035 for PCE Instruments UK , or at or +1 (561) 320-9162 for PCE Americas Inc.
- What is the anticipated weight of the lightest sample? This helps you determine the minimum capacity needed for your precision balance. - What is the anticipated weight of the heaviest sample? This helps you determine the maximum capacity needed for your precision balance. Please note that typically the higher the maximum load that a balance will accommodate, the less accurate the weighing capability of the balance will become. There are high-capacity high-resolution precision balances; however, the cost may be prohibitive. - What are the anticipated dimensions of the sample? This helps you determine the size of the platform or weighing pan needed for your precision balance. The platform or pan size should relate to the maximum load and measuring accuracy of the balance, as the platform or pan should be constructed to ensure the ideal placement of the sample in the center of the surface. If the load is placed outside the center of the pan, leverage can occur. 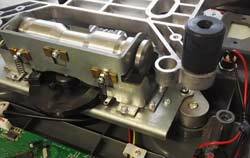 While the load cells of most precision balances can compensate for the effects of leverage up to a certain angle, samples larger than the pan size must be positioned more carefully to ensure the center of gravity falls within the center of the pan. Traditionally, the more accurate a balance is, the smaller the platform or pan size is. In some instances, a precision balance will feature an underfloor weighing function for weighing objects unable to be placed on the scale due to the object's size or shape. A precision balance with an underfloor weighing function will feature a hook on the bottom for suspending loads. - What level of accuracy is required for your weighing purposes? This helps you determine the resolution needed for your precision balance. If the measuring accuracy of the precision balance is not indicated separately, the basic formula to assess the accuracy of a precision balance is that the measurement deviation is the resolution value multiplied by 3 or 4. If better accuracy is desired, consider a buffer factor of 10 for the precision balance. For example: If a balance has a resolution 0.1 g, then a measurement uncertainty of approx. ± 0.3 g ... ± 0.4 g has to be assumed (unless otherwise described). However, if a measuring accuracy of 0.1 g is desired, then you should look for a precision balance with a resolution of 0.01 g (factor 10). Depending on the application, a calibration weight set may come in handy for verifying the accuracy of the precision balance and, if necessary, to adjust the balance accordingly. Like any piece of weighing equipment, a precision balance can drift over time and increase the measuring error. - What is the goal of weighing the sample? This helps you determine if advanced functionality beyond weighing is needed for your precision balance. This question can only be answered by the balance's end user. Some examples of advanced functions include: sum, tare, recipe, piece counting, hold (animal weighing), density measuring, suspended weighing and drying (moisture content measuring). For some users, the piece counting function is essential for performing an inventory quickly. At the same time, other users need the piece counting function for checking product completeness. For the product completeness application, a light or indicator is required to confirm the desired result. While both kinds of users would like to use the piece counting function, each type of user has a different purpose. Not every precision balance with a piece counting function will include a light or indicator. That is why the purpose of weighing should be clearly defined by the end user and only then, according to the user's specific criteria, a precision balance should be selected. - What do you plan to do with the weight data after the weighing process is complete? This helps you determine if an interface is needed to connect your precision balanced to a PC or printer. An interface allows the weighing data to be transferred. Examples enabling data transfer include USB, RS-485 and RS-232 ports, Bluetooth and WLAN interfaces, analog outputs and removable memories (like SD cards or USB sticks). - What documentation requirements must the precision balance meet for your organization's quality assurance program? An optional ISO calibration certificate is available as an accessory to most PCE-branded precision scales for an additional fee. An ISO calibration certificate is a document with a PRESET / ACTUAL comparison of your device. An ISO calibration certificate documents the measurement deviation, linearity error, repeatability and measurement error of the excessive load. - What is your price limit? This helps you determine if a precision balance falls within your budget. After answering the above questions, you may have your purchasing decision narrowed down to a handful of different models of precision balances. It should be taken into account that the appropriate precision balance should simplify, expedite and/or make the weighing process safer or better. Therefore, it is not always worthwhile to choose the most affordable precision balance.